Learning About Articles I, II, and III! This resource provides students with an English language video and associated student friendly readings (in English, Spanish, and Haitian Creole), as well as reading and video guides and self assessment tools. 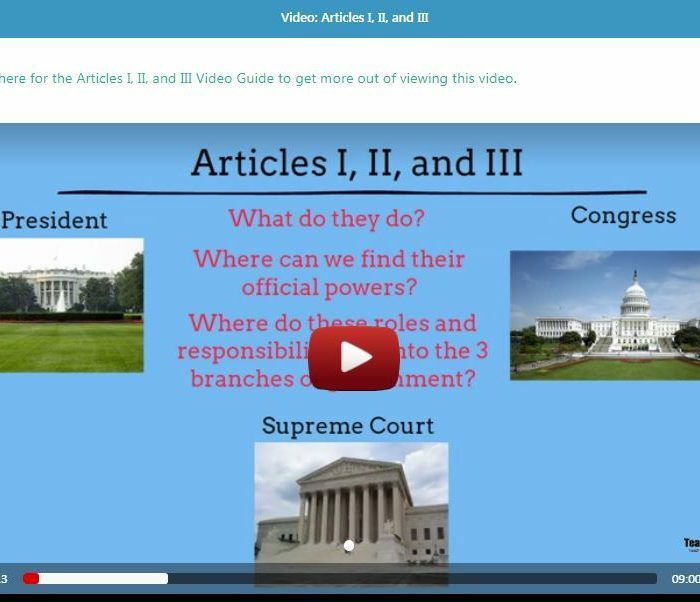 Using these, students will explore the basic foundation of the Constitution contained in Articles I, II, and III. Free registration is required to use the resource.